I had to take a break from this project for awhile, it was just getting to be to tough to talk about it EVERY day! So now that I stepped away for a week I'm ready to finish the project. I will share days 17-20 today and catch the rest of the way up tomorrow. I'm not a date person. Well, I do love to go on dates with my hot hubby! But I am horrible at remembering important "event" dates such as anniversaries and birthdays. 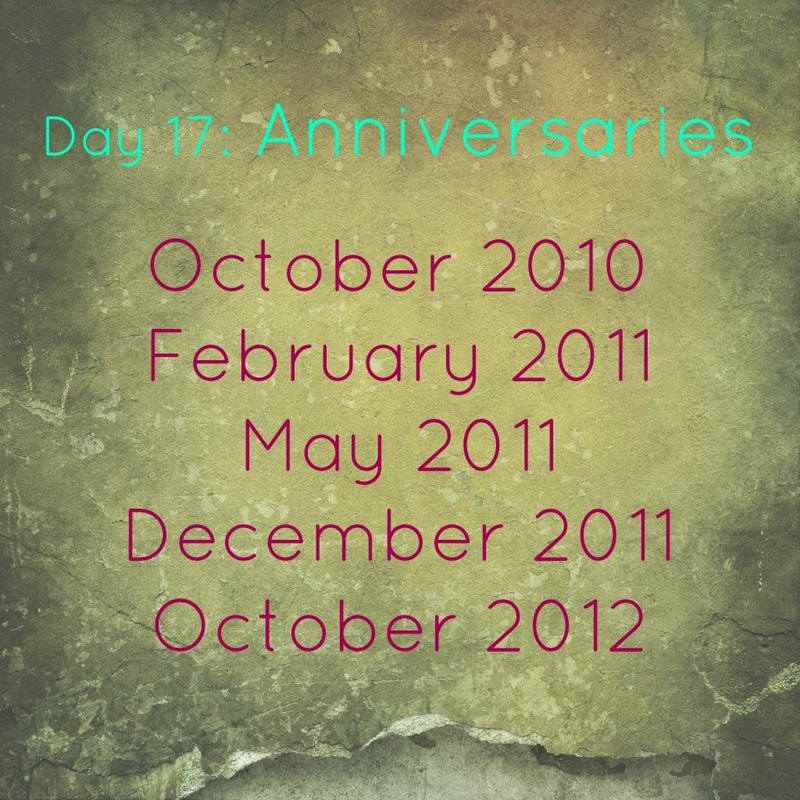 I can remember birthdays for family and friends but to remember significant dates like my wedding anniversaries (check this post out to see why we have more then one) is a struggle for some reason. Must just be my brain not working very well! Anyway, I have kept a detailed record over the last two years of the dates significantly related to my miscarriages because I knew I would forget them if I did not write them down. 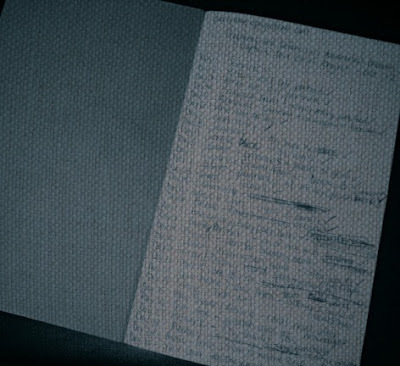 I began doing this just so I could have a good record of things that happened for medical reasons, as each new doctor always asks about the losses and dates they happened. I know some woman who have experienced pregnancy loss struggle when their due date comes around. Fortunately for me I have not made an active effort at remembering my due dates so I don't have one more painful day on my calendar during the year. 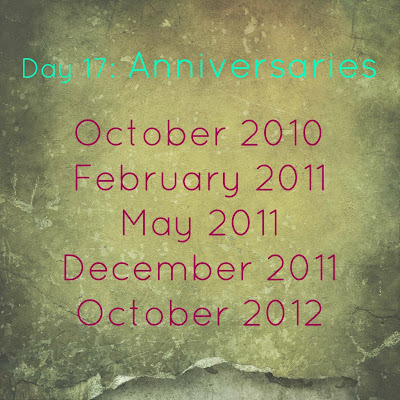 Since I do not have due dates to hold onto for memories I have decided to share the "anniversary" dates of my losses. I have already posted several pictures of B and me, which is our little family right now. So I decided I did not want to limit today's picture to just our little family but also include my extended family. I tried to find a picture of my extended family, but I don't have a recent one. Even though my aunts, uncles, and cousins are not in the below picture they have been a support to us. They have been our prayer warriors and supporters through all of this. During the times I'm too angry or sad to pray, I know someone in my family is lifting up prayers for me and B. To my family, thank you so much for the cards, phone calls, texts, prayers, and so much more you have shown us the past two years. I know that if we ever have our own bundle of joy, whether through pregnancy or adoption, it will be well loved by all of you! Today's topic is about a project you have done in memory of the babies lost. Until I started this project I had nothing but the 1 piece of paper with all the dates I needed to remember. I guess I really didn't want something more to remind me of the losses and pain. I have now decided I'm going to take this project I've been sharing with you here on my bloggy (I'm sure this is not a word but I like it so I'm using it!) space and put it in scrapbook form. I have a little notebook I have jotted down notes and things for each day of the project, so this is the picture I'm sharing with you today. I edited it so you could not really see what I had written, as I don't want to spoil the rest of the month's ideas. There are two organizations that I want to share with you that I've learned about the past two years. Lost For Words:: This online site is run by Carly Marie, the same woman that is hosting the Capture Your Grief Project. Her artwork is beautiful. Lost for Words is a website filled with cards and calendars with her beautiful artwork and words. 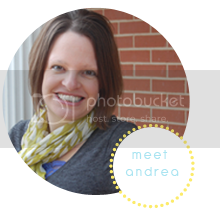 If you have not looked around her site I encourage you to check it out and purchase some cards or a calendar so you items on hand to send to families in your life that experience pregnancy and child loss. 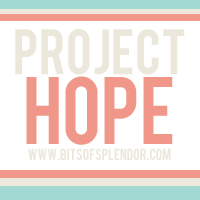 Project Hope:: This organization was started by a mom who has lost two little babies. Laura's dream for Project Hope was started after the loss of their second baby. Instead of me re-telling her story and her project, check out the video below. I also encourage you to go visit her site to read about how Project Hope began and what Project Hope is today. I am working on adding your link in blog directory listing but just can't help to read your blog first. My heart leaped when I got your request, you filled it up and mentioned that you had 5 losses so here I am reading. I just can't help it. Im sorry for your losses. Also, since you put multiple dates for your loss, I hope you don't mind me adding the anniversary dates that you have in this post. If not please email me and let me know.